This November, Chicago area residents are in for a rare treat! 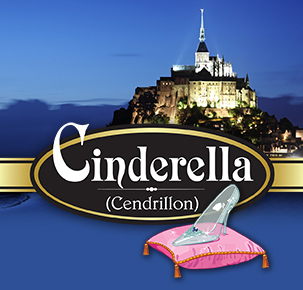 From November 2-17, 2012, patrons have eight (8) opportunities to see Petite Opera's depiction of the classic story Cinderella in a version that has not been seen in Chicagoland for over 100 years. Composed in 1899, Jules Massenet's version of Cinderella (Cendrillon) has all of the melodic beauty and lush harmonies of the late Romantic period, plus incredible depth of characters that truly bring the story to life. How exactly is this version different? We'll be exploring the differences between this and other versions in upcoming posts. But to give you just a flavor, recently, Petite Opera's Executive Director, Director of Production and Stage Director for Cinderella sat down with Public Perspective cable show host, Kevin McDermott. The group discussed what Petite Opera is all about, how the company selected this outstanding work by Massenet, possible reasons why it hasn't been performed in Chicagoland within the recent centennial, and the Director's vision of the show. Petite Opera performs Cinderella November 2-17, 2012 at Mary Wilson House Beyer Auditorium, part of St. Mary's Episcopal Church campus, 306 S Prospect Ave at Crescent Ave (enter on Crescent Ave), Park Ridge, IL. Call 847-553-4442 to reserve tickets, or purchase tickets online via credit card (convenience charges apply to credit card orders). 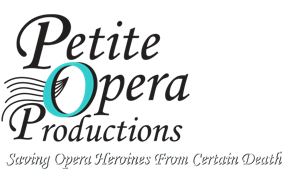 Petite Opera is a professional 501c3 opera company.